Safety Score: 3,1 of 5.0 based on data from 9 authorites. Meaning please reconsider your need to travel to Nigeria. 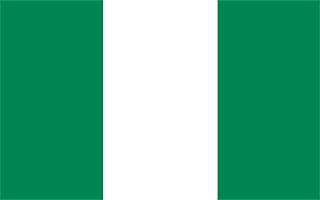 Nigeria with its capital Abuja is located in Africa (Western Africa, bordering the Gulf of Guinea). It covers some 923,769 square kilometers (about six times the size of Georgia) with a population of 190,632,000. English, Hausa, Yoruba, Igbo and Fulah are the languages spoken by people in Nigeria (consider regional differences). Benin, Cameroon, Chad and Niger are bordering countries. Nigeria is a country in equatorial West Africa. It is the continent's most populous nation. There are many types of traditional cuisine to enjoy. For example: afang soup, okra soup, owo soup and starch in the Niger Delta, plantain (fried, boiled, roasted), pepper soup, amala, eba, efo, pounded yam (iyan - Yoruba for pounded yam pronounce ee-yarn ), jollof rice, ground nut soup, ogbono soup, isi ewu (goat's head stew), egusi soup, suya (kebab), moin moin, ewedu, gbegiri soup (beans soup), edikangikong, ground-rice, puff-puff, chin chin, ikokore, owerri soup (ofe owerri), which is the most expensive African soup in Nigeria. To reach someone Nigeria dial +234 prior to a number. The local cellular networks are operated on 900 MHz, 1800 MHz, 3G, 4G. Websites typically end with the top level domain ".ng". If you want to bring electric appliances (e.g. battery chaarger), keep in min the local 230 V - 50 Hz (plugs: D, G). The sign for the locally used currency Naira is NGN. Three equal vertical bands of green (hoist side), white, and green; the color green represents the forests and abundant natural wealth of the country, white stands for peace and unity.